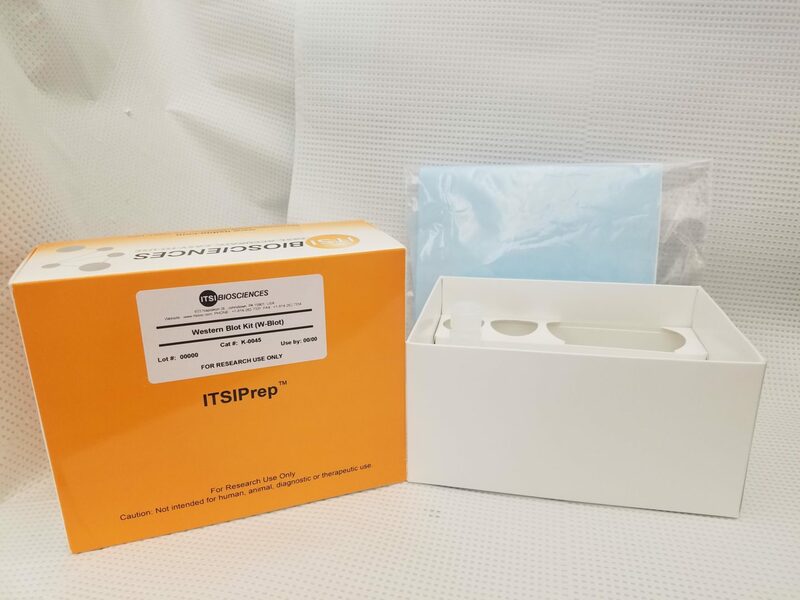 ITSI-Biosciences distinctive Western Blotting Kit (W-Blot™ [K-0045]) is a ready-to-probe western blot of human, animal, or plant proteins on a nitrocellulose membrane (Figure 1, Figure 2). Each blot contains 20ug of total protein per lane. W-blot™ permits qualitative and semi-quantitative immune-blotting to determine whether a protein-of-interest is expressed/not-expressed in a particular tissue or organ. Each W-Blot™ comes pre-blocked and ready-to-probe with your antibody. The W-Blots contains an internal standard to enable blot-blot and cross-species comparisons. W-Blot™ can be re-probed multiple times and can be customized with any required tissue. The PVDF membrane is available upon request. Fig 1: Gel image of proteins isolated from rat prostate and separated by 1D Electrophoresis using 4-20% gradient SDS-PAGE gels.